With Russia and the West finding itself at odds across the globe, is it time for Canadians to be worried about the Russian bear in the Arctic? As Russian cyber activities in the United States and military intervention in Syria dominate headlines, the Russian bear has pursued a steady march forward much closer to Canada, in the Arctic. Russia moved ahead with several steps in its Arctic strategy in 2016, refurbishing military bases, constructing new airfields and building outports. 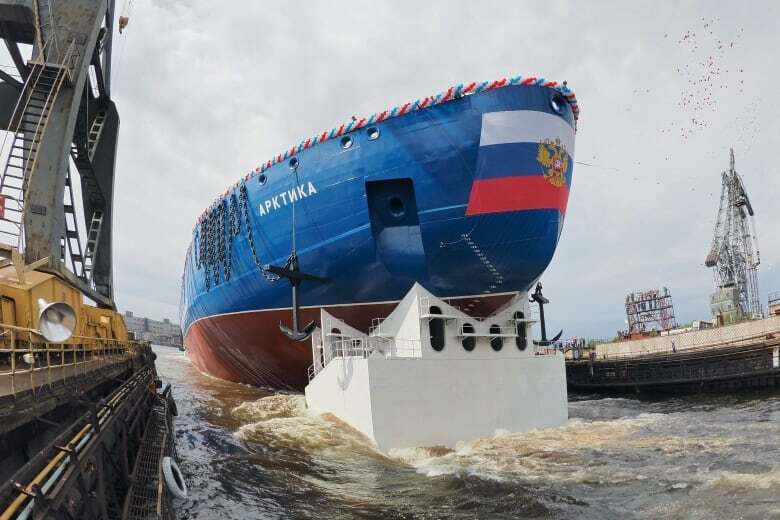 A key element of this policy came together in June, when Russia launched its new nuclear-powered icebreaker in St. Petersburg. The Kremlin retains a "longstanding desire to undermine the U.S.-led liberal democratic order" and is acting on it, according to a declassified report from U.S intelligence agencies on hacking during the U.S election. Russia has also defied U.S policy in Syria, supporting the government of Bashar al-Assad in its civil war, annexed Crimea and supported pro-separatist rebels in Ukraine. If a military conflict were to centre on the Arctic, Canada and its NATO allies would be left behind with "very, very little capability," says James Stavridis, a retired U.S navy admiral, former supreme allied NATO commander and dean of the Fletcher School of Law and Diplomacy at Tufts University in Massachusetts. 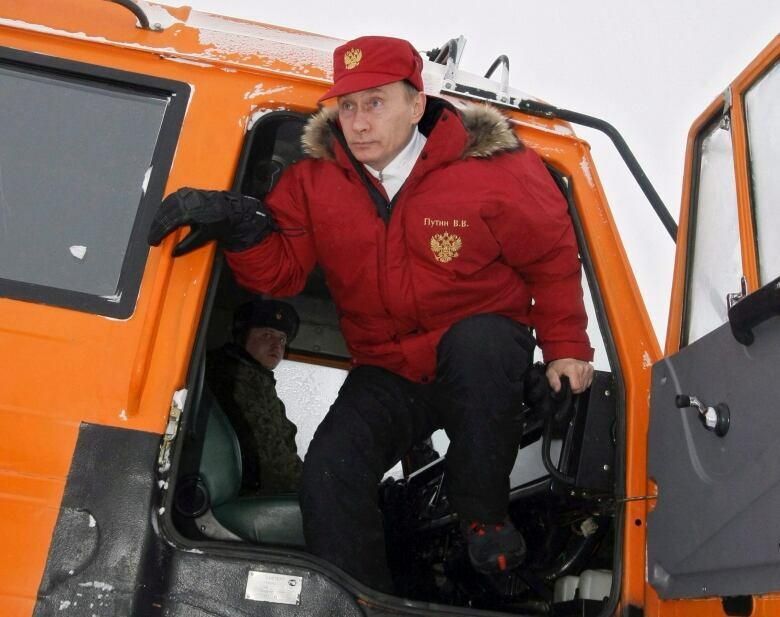 "It's a full-spectrum press [for Russia] in the Arctic," Stavridis told CBC News. "NATO broadly, and Canada in particular, have the idea of 'high North, low tension.' I get that. But it's hard to ignore the military buildup that's going on in the Arctic Ocean." Though Stavridis does hope the Arctic can be a mutually co-operative area, recent history suggests NATO and other northern countries should remain vigilant. "This is NATO space, these are all NATO allies or close NATO friends," he said. "We should be increasing our Arctic surveillance, we should be building more icebreakers. Not in an aggressive way, but in a way that lets our Russian colleagues understand we have a deep investment in the Arctic." Rob Huebert, an expert in Arctic and offshore issues at the University of Calgary, agrees Canadians need to keep a watchful eye on Russia in the North. "History won't allow us to forget that a state that uses military force to change borders to achieve political objectives usually does not stop that type of behaviour until they meet a capability that can push back," Huebert said. "We have to make sure we can provide that type of pushback with our NATO allies," he said. "It's saying you can't start pushing [in the Arctic] the way you've been pushing elsewhere." Huebert says Russian activity in the far North is similar to its actions in Syria, Ukraine and the Baltics. 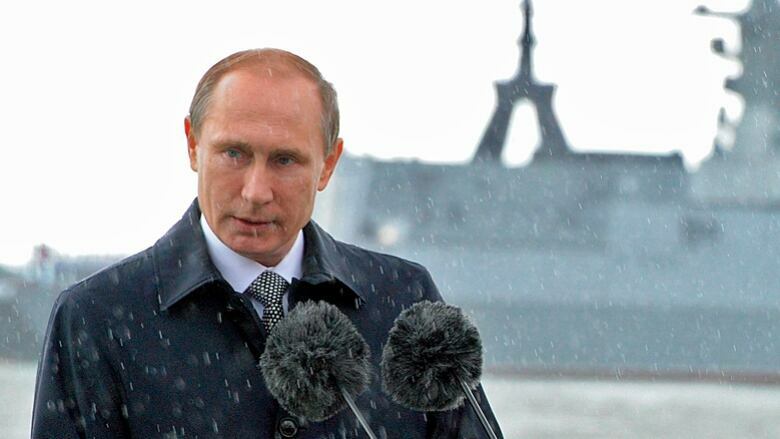 He does not trust the Russians to co-operate in the Arctic and calls for Canada to move on national shipbuilding. "We have to get much more serious," he said. "You need to have some means of responding along with your allies if Russian intent becomes much more aggressive." Though Canada is moving ahead with plans to build more ships, a new heavy icebreaker to replace the aging Louis St. Laurent will not exist until the 2020s, and the process to replace the CF-18 fighter jets continues slowly. When it comes to the Canadian government's current response to the Russian buildup, maintaining communication is the current plan, a Global Affairs spokeswoman wrote in an email to CBC News. "Dialogue on Arctic issues is critical for that ecosystem," Jessica Séguin said. "Our position on sovereignty will remain firm and steadfast." Andrea Charron, the director of Carleton University's Centre for Security, Intelligence and Defence Studies in Ottawa, argues tough talk does nothing to help the relationship. To her, fear of a coming conflict in the far North is overblown. "In terms of all-out conflict with Russia, in the Arctic, because of the Arctic, nobody is seeing that in the near future," she said. As the largest Arctic nation, Russia would have the most to lose in any confrontation there, Charron said. Sharing the Arctic with Canada forces it to act differently than elsewhere in the world. She sees work on the Arctic Council, and other multi-national Arctic co-operation efforts in search and rescue, as a way to create a positive relationship in the Arctic Circle. "We have to compartmentalize issues," Charron said. "Events in Syria and elsewhere, they are reprehensible. It's something we as Canadians want to stop and assist with, but vilifying Russia in the Arctic is not going to stop those issues."